The coin was available from the U.S. Mint from June 7, 2001, until it sold out on June 21, 2001. The fate of the American Buffalo – or bison – was linked to the fate of the Native American, and vice versa. Native Americans hunted the bison and used the carcass for everything from shelter and food to needles and cooking implements—they were known for wasting nothing. The study of Native Americans, including their language, literature, history, art and anthropology, is the purpose of the proposed National Museum of the American Indian. The museum will feature more than 10,000 years of American history. The 260,000 square foot museum is scheduled to open on the National Mall near the U.S. Capitol in 2004 and is expected to attract about 6 million visitors a year. Ground was broken for the museum on September 28, 1999. The coin was authorized to commemorate the National Museum of the American Indian of the Smithsonian Institution, the museum's opening, and to supplement the museum's ongoing endowment and educational funds. A surcharge of $10 per coin helped fund the opening of the National Museum of the American Indian and to supplement to endowment and educational outreach efforts of the museum. 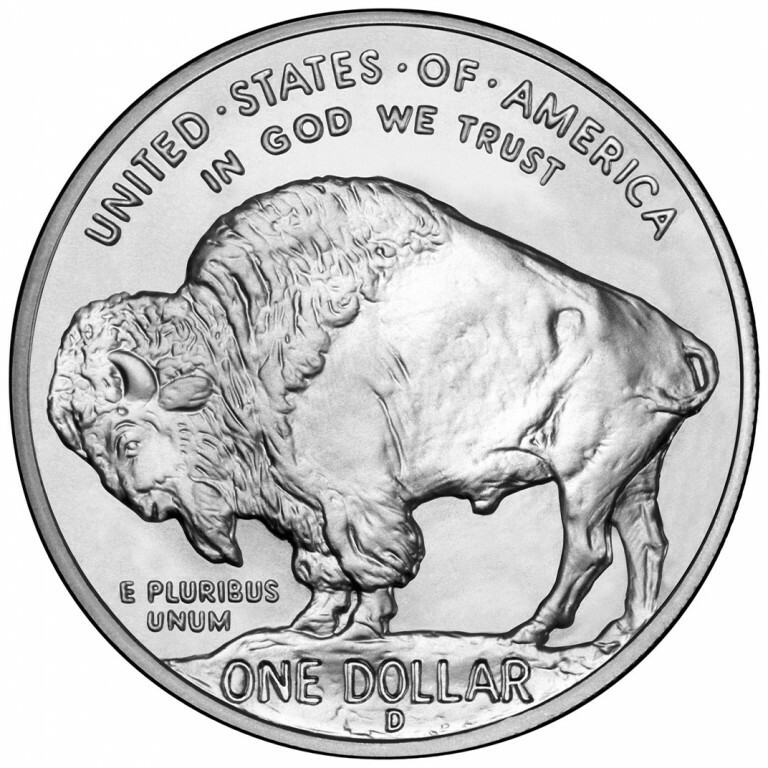 The design is based on the five-cent Buffalo nickel designed by James Earle Fraser and minted from 1913-1938. That design features two American icons: a Native American profile, and an American Buffalo. Three different Native Americans-Chief Iron Tail, Chief Big Tree and Chief Two Moons-modeled for Fraser for this coin. All three were performers in Wild West Shows in New York City. The buffalo model came from Central Park Zoo. Fraser (1876-1953) was known for his famous western sculpture, "The End of the Trail." He also designed the Buffalo Pan-American Exposition Medal; the Victory Army and Navy medal; the Navy Cross Medal; and the Norse-American Centennial medal. 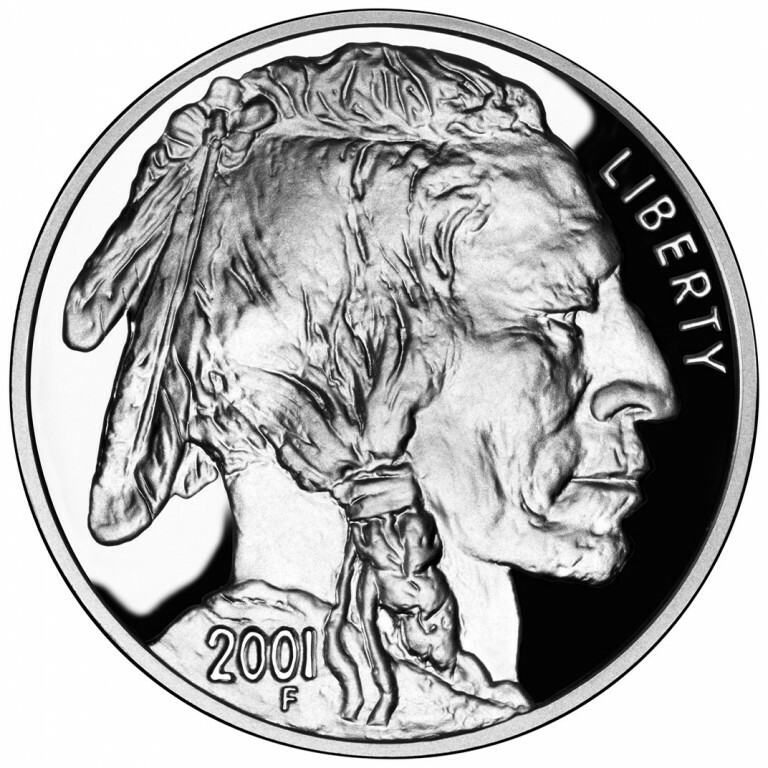 The obverse shows the profile of a Native American. 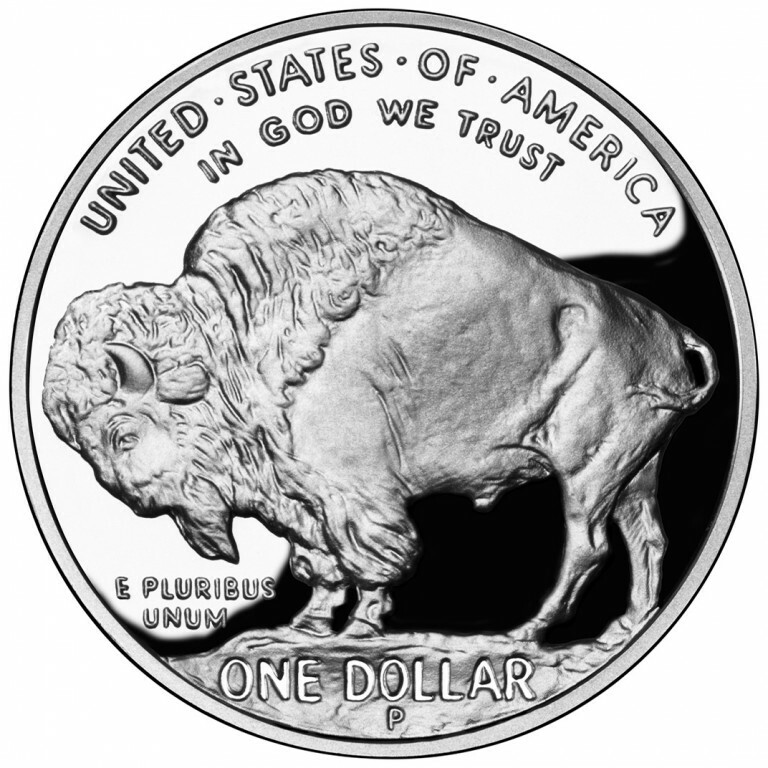 The reverse bears the image of an American Buffalo (also known as a bison). 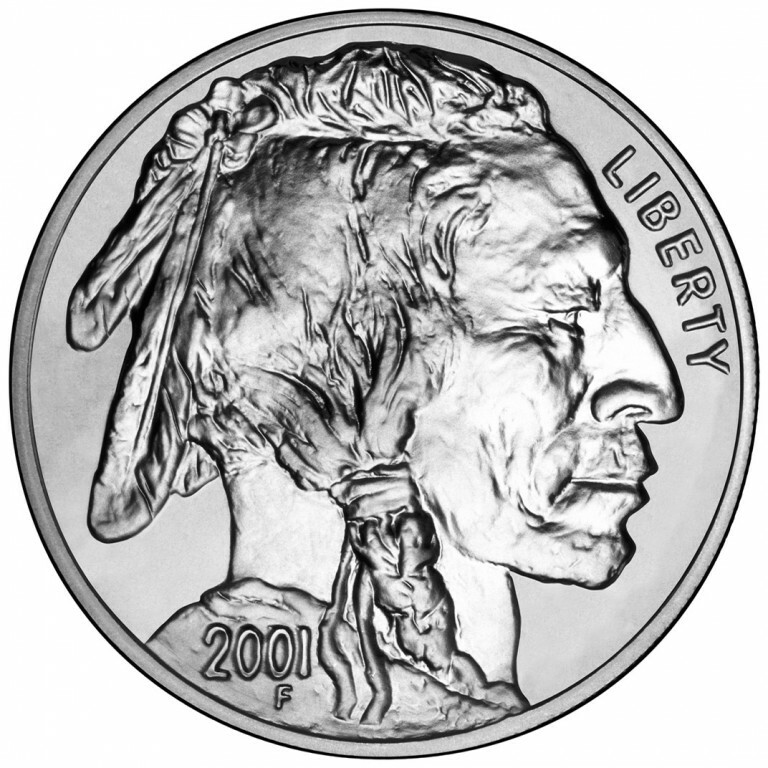 Designs based on James Earle Fraser's Buffalo Nickel designs.